The capricious climate of political culture in the present social scenario has pushed forward many ethnic communities,minorities as well as larger groups into a catch-22 situation that has led them to dabble in identity politicking. The multiple linkages and greater interconnection between nation has not only transformed and affected in the economic and cultural realms at the global level,but it has permeated into –socio-political and cultural apparatuses of many societies of the nations. The race for defining the term ‘identity’ hasn’t reached a canonical form which can be applicable in both theoretical and empirical perspectives. Nevertheless,’identity’ of any ethnic community or group is construed as inalienable feature essential for survival in the present geo-political scenario and uneasy coexistence between disparate communities or groups under a particular political boundary which emphasized the significance of its necessity. The struggle for ‘identity’ presence in the socio-political sphere has manifested into a new shape;the dimension is gathering upheaval shape due to number of circumstances ranging from realization of nationality,importance of preserving and promoting their own --------language,culture,religion,traditional and other customary social practices which they think it have unequivocal importance. The Mishing tribal group of Assam as well as Arunachal Pradesh,whether the reason may be political or apolitical,has felt the importance of right to identity since mid 19th century. The need for re-orientation and presence of identity is reflected since the period of pre-independence of India more prominently. To speak the identity of Mishing tribe,they are a major branch of Greater Tani Nationality.The Tani Identity is traced through Abotani,the mythical folk hero of Tani groups of people and common belief and faith in Donyi-Polo among the Tani groups such as ---------Nyishi,Galo,Mishing,Adi,Tagin,Hill Miri and Mishmi. Beside,the affinities among Tani people in their language,culture and social practices are enough evidences that a commonality between this groups exists specifically. The tribes of this nationality can be identify as Tani. However,identity is plural concept since there are number of social heterodoxy present in definite sovereign country,where identity of any ethnic group or community has its own relevance and distinctiveness conceived with its own basic elements. Thus,the constraint of defining an identity is juxtapose while choosing a common identity. The attachment with a group or community is a relative discovery based on communitarian philosophy. Identity invokes disparate concepts implicitly, it cannot be a mere inclusive and all-accepted view. The root of Tani Nationality is primarily entrenched in the folktale,folklore,religious customs & beliefs,traditional festivals and fairs,rites and rituals observed by the Tani groups of people. The name of Abotani,the mythical folk hero of the Tanis,is common to a Nyishi of Papumpare or a Galo of Along. 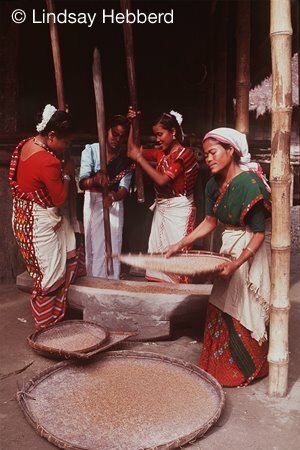 It is same and familiar to a Mishing of Majuli or an Apatani of Ziro or an Adi of East Siang or to a Mishmi of Dibang Valley. The religious identity and faith in Donyi-Polo is nonetheless in peculiar to any Tani groups of people in the same way. Whether Apatanis or Mishings,the actual belief is attached with faith in Donyi-Polo fundamentally in social practices. The similarities in languages of these groups of people is another milestone in identifying themselves as Tani Nationality. Adi and Mishing language is almost similar;Galo language too is not unintelligible to an Adi or a Mishing Tani.Abotani,Donyi-Polo,Pedong Nane are not just basic similarities,a conceptuality of defined nationality is also collectively endowed thus. Therefore, Mishings,who considered themselves sons of Abotani and descent of Donyi-Polo,are within the manifold of Tani Identity. The identity of Mishing is casts as a sub-identity of Greater Tani Nationality in a broader perspective. The emergence of welfare polity among nation-states has failed to radiate the nationalist ideologies. The sense of identity and ethnic nationalism in many tribal groups, although they subscribed to nationalist ideas to some extent,simultaneously culminate itself outwardly unto a political consciousness among those people. The idea of merging with a nation-state’s mainstream is obliterated for fear of losing their identity,culture,language and other genuine identical aspects relevance to their unity and identity. Thus,the superiority dilemma over their cultural elements and identity, is conspicuously deal with with the show of ethnic nationalism. The Mishing Tanis history of ethnic nationalism,whether it is for sense of identity in the interest of preserving their land ,language,culture etc. or based on political aspirations can be traced back that was raised before India attained independence from the Britishers. The North East Frontier Miri-Abor Sanmilan(NEFMAS) led by Padmeswar Doley,the then Secretary of the NEFMAS with the amalgamation of Adi and Mishing Tanis cohesively demanded for the creation of separate autonomy for Mishings and Adis;and other allied Tani groups. On 20th May,1947,a total number of seven resolutions were adopted under the Chair of Mr.Howard William,the then political officer of Sadiya at Murkongselek,wherein the Mishings(Miris),Adis(Abors),Nyishis(Dafla) and Hill Miris(Charaks) firmly and unitedly moved to create an Autonomous Unit as per properly defined boundary on the grounds that these tribes had affinities in their language,culture,religion and manners. As per the adopted resolutions,the boundaries of the Autonomous Units were-to the North and South its boundaries were Tibet and Brahmaputra river;while to the East and West,the resolution took Sadiya and Suvansiri river towards Baginodi in a straight-line to meet the Aka Hills respectively. After the birth of Mising Agom Kebang(Mishing Literary Association)in 1972,the wave of ethnic nationalism was revived in the aim for recognition, preservation and development of Mishing language. The first organization of the Mishing Tanis formed in the post-independence period succeeded in its attempts for securing the goals of the tribe in the language field,it secured right of Roman script for their language despite a government constituted committee reported strongly in favour of adopting Assamese or Devanagiri script accompanied with partial justification. Thus,the strong sense of aversion towards the Assamese was reacted by forming a Roman Lipi Parishad by the Mishing Tanis in the aftermath of the report. The Takam Mising Porin Kebang(TMPK) in its memorandum on 25th April,1986 presented to the then Chief Minister of Assam mentioned that ‘‘to speak realistically,the Mishings are not Assamese from the linguistic point of view’’. These was an emerging sense of identity pride and worth realization,where Mishings reflected the need of an independent and ethnically more acceptable script which was essential for the language’s pronunciation and further development. Today,the elite Mishing littérateur has slightly modified the previously used alphabets according to International Phonetics Association model ,keeping in mind the world standard and using of technically acceptable alphabets. 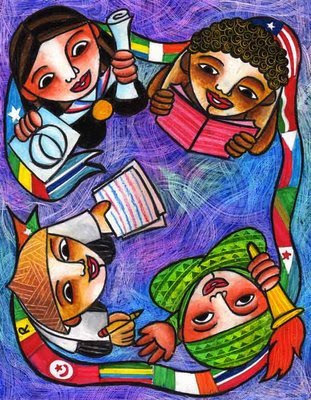 The Mishing language movement is considered as a significant ethnic nationalism of Mishing Tani nationality that has brought about the importance and development of one’s language and literature. It must be mentioned that despite the trivial maturation of Mishing language movement by the efforts of our conscious individuals,the pathway to Mishing language development in the future must go in ascendancy. The Mishing language is not enough with the introduction of single textbook upto Class IV. Our sense of nationalism lacks the spirit of unity and struggle that jerks our whole people backward educationally,economically,politically and socially,needless to say that without people’s involvement no goals can be achieved and conquered. The ascendancy to emancipation and development for the Mishing Tanis lies in the fact when our people acquired the worth of united struggle for the protection of land,development of language,literature and culture which will eventually leads to preservation of identity and neo-ethnical nationalism. It is really a good article that you have presented in the Mishing Renaissance "Identity & Ethnic Nationalism". As you may be aware that few percentage of Mishing population is still in Arunachal Pradesh who is really looking for their "Identity". Since, it is known to all that in the State of Assam or Arunachal the Mishing are the Ethnic tribal Community of India but till today the Mishing of Arunachal have no Identity in their own home land. Again, I am really appreciating you for such a good article, which will motivate the young generations and as whole the Mishing Community of the Nation. Further, I would like request you please do not give-up, rather continue to preserve the Mishing Identity “The Ethnic Community” who are even after independent the Mishing are still Identity Crisis. Dear N.Pao, I extend my sincere thanks for giving an eloquent assessment to my article.We must never give up our identity through the limits of any political boundary.Hope,I'll visit Arunachal's Mishing areas oneday. Keep up the good work. Our Tani Nationality is beyond political borders. In this global village a lot of interaction/ discussion on the electronic media like the internet should continue which might lead to greater interaction and understanding between the Tani people. Mishing language belongs to Tani branch of Tibeto-Burman group of languages like Galo, Adi, Nyishi, Tagin, Mill Miri, Apatani, Bokar, Pailibo, Ramo etc. It is indeed a great work that Roman Script was adopted by the Mishing in spite of strong linguistic and political influence of Assamese language and government. Our language does not have its origins in the Sanskrit but on our rich classical language (Gomku),folktale,folklore, religious customs & beliefs,traditional festivals and fairs,rites and rituals observed by the Tani groups of people. The Galo people also have secured right of Roman script (Modified Roman Script) for our language based on phonetics. The Modified Roman script has also been adopted by Nyishi. The Adis already have the Padam script based on the Roman Script. Thanks.I have immense pleasure to know that Galo and Nyishi Tani language has adopted Roman Script for promotion and development of Tani language and literature.This is indeed a milestone by the Tani people in this globalised era.We can ,no doubt,press the government for classical language status.The Tani identity is liguistically and ethnically ancient and vast in nature. I m stunt by the rich cultures and traditions of the Miris/mishings who inhabit vast area of Assam and Arunachal,their past history of bravery is not spoken for which i would like to comment today.I would also like to congratulate Pegu for this web-page in spreading the message for those who are'nt aware.Mishings are no nomadic nor immigrants from distant land but the indigenous people who came down from Aow-um(Forefather's land)between 10th -1600 AD.They were the shield against the enemy in the Aow-um kingdom but the internal dispute among the royal led them to different direction.Weakness grew more till the last assault on the Nok-rang by the newer arrivals from Burma in 1600th AD.From here most of the people crossed Brahmaputra and lost contact for many centuries with the brothers on the Eastern plains of Assam and on the Naga hills. Let this be the fire to ignite the hearts that there are brothers far in the East wanting to be with after lost for many generations. Thanks for your valuable comment.We would like share our historical information.The Ao-um legend has been in debate amongfew Mishing historians but most of our people said that Mishings were abode of Western China near Yangtse-kiang.I have heard a similar story from a village oldman that there were seven brothers initially but due to internal scuffle all of them scattered to different places in the hills as well as plains.The Eastern historical legends is quite significant since there is mountain named PEGU hills in Myanmar which also has various tales of the past.We anticipate your fervent cooperation so that you can help us in tracing our real roots. Your edeavour in preserving the Tani nationality,it is indeed very appreciable. Tani language & Tani people will prevail as it has been since time immemorial, despite the fact that many external forces tried to influence us and our language, but we the Tani group are able to maintain our identity.So keep it up and do not give up my best wishes is always with you. May Almighty Donyi-Polo bless you.Good luck!